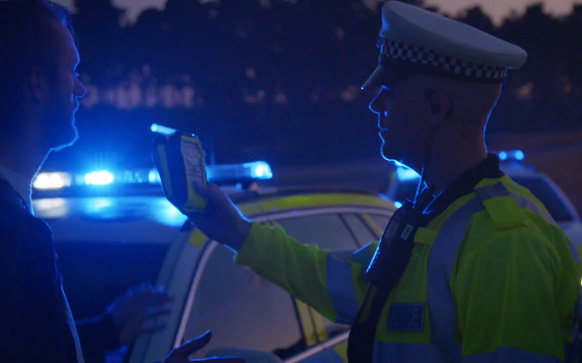 More than 100 people were arrested during the Suffolk Christmas drink and drug driving campaign, with over 1,700 people breathalysed. The month-long initiative launched on 1 December 2017, targeted drivers getting behind the wheel under the influence of alcohol and drugs. Patrols and roadside checks were carried out with Suffolk having a 3.99% fail rate of all people who were breathalysed. A total of 1,751 breath tests were carried out with 70 drivers providing positive readings. Of the 194 drug test conducted, 67 drivers failed. This year saw specific time slots at Ipswich Magistrates’ Courts being reserved to deal with those caught drink or drug driving. This effectively meant that offenders could lose their licence within 24 hours of being breathalysed whilst facing additional fines. · Brandon Ciesla, 24, from Dale Tree Road, Bury, was stopped after driving erratically. He provided a positive breath test of more than 3 times the legal limit. He was arrested on Sunday 10 December and appeared in court on Tuesday 12 December. He was disqualified from driving for 25 months and ordered to do 120 hours unpaid work. · Jonathon Mander, 35, from Lee Wick Lane, Clacton-on-Sea, was arrested at Stratford St Mary on Wednesday 13 December after a member of public reported his driving. He was more than 2 and a half times over the legal limit. He appeared at court on Friday 15 December and was disqualified from driving for 28months and ordered to do 200 hours unpaid work. · Anton Mackevic, 28 from Ashlea Close, Haverhill, was arrested for giving a positive breath test on Saturday 16 December 2017. He appeared at court on Tuesday 19 December and was disqualified from driving for three years and ordered to pay £450. Chief Inspector Kris Barnard, head of the joint Roads Policing and Firearms Operations Unit, said: “It’s always disappointing to see that people are still prepared to take the risk and get behind the wheel under the influence of drink or drugs, although it is a minority. “Dozens of people caught during the campaign would have started 2018 with a minimum 12 to 18 month driving ban, which will have massive implications on their professional and social lives. During the 2016 campaign 1,329 tests were carried out in Suffolk with 61 drivers failing the test, representing a fail rate of 4.58%. 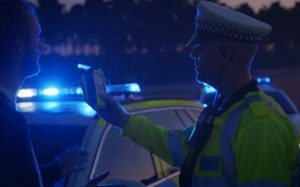 Suffolk’s Police and Crime Commissioner Tim Passmore, said: “I’d like to commend the great work of the roads policing unit over the Christmas period and their rigorous campaign to get drink and drug drivers off our roads. “Every Christmas our message is the same and every year sadly there are still drivers that do not take heed. It is particularly upsetting to see a high percentage of the drivers tested for drugs were positive tests. “Drivers need to understand that drink driving risks lives and the lives of others, it is grossly irresponsible and selfish. The figure for failed drink-drive tests in Suffolk between 1 December 2016 and 1 January 2017 has been amended. 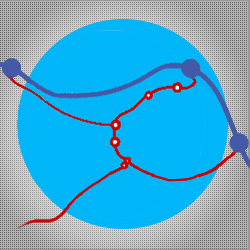 The original figure quoted in January 2017 was incorrect due to a procedural error.